I graduated in Biochemistry by the Faculty of Sciences of the University of Lisbon in 1993 and initiated my research career 18 years ago, when I became a PhD student in the field of metalloprotein characterization. I completed my PhD on biochemistry by the University of East Anglia in 2000, followed by a post-doc on protein-protein interactions at the University of Leiden, partly funded by a Marie Curie Fellowship. During this period, I made important contributions to the characterization of a number of proteins containing metal co-factors and to the mechanisms through which proteins interact transiently with one another. These contributions were at the core of 16 publications in international peer-reviewed journals. Fifteen years ago, following the award of a Marie Curie Reintegration Grant, I shifted my research focus and became interested in understanding the host-parasite interactions that take place during infection of the mammalian host by Plasmodium, the malaria parasite. I became a post-doc in Maria Mota’s research group, initially at Instituto Gulbenkian de Ciência and later at Instituto de Medicina Molecular (iMM Lisboa). In 2008 I was hired under FCT's Ciência 2007 program and became a Staff Scientist of iMM Lisboa’s Malaria Unit. In July 2013 I was hired under the Investigador FCT programme and became a fully independent Group Leader at iMM Lisboa, heading the Prudêncio lab. I was hired by iMM Lisboa under FCT's Individual Call to Scientific Employment Stimulus in April 2019. I was appointed Invited Associate Professor of the Faculdade de Medicina da Universidade de Lisboa in March 2019. I have been able to secure funding as principal investigator in competitive calls launched by national and international funding agencies or institutions, including FCT, Merck, the Bill and Melinda Gates Foundation, and the Malaria Vaccine Initiative. In these 15 years as a malaria researcher, I have contributed to the understanding of hitherto unknown aspects of the biology of Plasmodium during its infection of its mammalian host’s liver. Overall, these findings have greatly expanded our knowledge of the molecular mechanisms at play during infection and paved the way for the development of successful anti-malarial strategies. I have earned several scientific and innovation awards, including the CESPU award, the Mello award for health sciences, and the BES innovation award, and am an inventor of several patents. I am the author of over 90 scientific articles in international peer-reviewed journals, with an accumulated impact factor of 431, over 3660 citations, an h-index of 33, and an i10 index of 65. I have a network of collaborators who are world-leading scientists in their respective areas. I have been involved in the scientific supervision of several undergraduate and graduate research students, carrying out short and medium length training periods, as part of their degree or PhD. I have been involved in the (co-)supervision of several PhD students and was responsible for the supervision of several MsC students. I currently supervise 3 post-doctoral fellows, 3 PhD Students, 1 MSc student and 3 research assistants. I have lectured at several undergraduate “Health Sciences” and “Medicine” courses at the Faculty of Medicine of the University of Lisbon. I regularly lecture in “Molecular Biology” and “Evolution and Development Biology” MSc courses at the Faculty of Sciences of the University of Lisbon, and in "Biochemistry", "Molecular Genetics and Biomedicine" and "Health Biochemistry" MsC courses at the Faculty of Sciences and Technology of the New University of Lisbon. I am also a lecturer at the GABBA PhD program (IBMC, University of Porto), the BioSys PhD Program (Faculty of Sciences, University of Lisbon) and the Lisbon BioMed PhD program (iMM Lisboa, University of Lisbon). My research interests focus on the investigation of Plasmodium liver stages and on the exploitation of their potential for anti-malarial intervention. My research program includes the analysis of nutrient acquisition by hepatic Plasmodium parasites, the survey of novel parasite-host interactions, the study of Plasmodium-Trypanosoma co-infections, the identification of new anti-malarial compounds and the development of a new strategy of vaccination against malaria. I was Head of the Biosafety Level 3 Facility of the iMM Lisboa bewteen 2010 and 2016. I am a member of the iMM Lisboa Biosafety Commission and the scientific supervisor of this Facility. As Head of the iMM Lisboa BSL3 Facility, I have organized and lectured at several Biosafety courses held at iMM Lisboa and INSA Ricardo Jorge. I have had numerous media appearances on printed and online press, radio, and television, in relation to my research work in the malaria field or to the public understanding of science. I am a founding member of the iMM Lisboa spin-off company RoPlaVac. Miguel Prudêncio graduated in Biochemistry by the Faculty of Sciences of the University of Lisbon in 1993 and completed his PhD on Biochemistry by the University of East Anglia in 2000, followed by a post-doctoral period at the University of Leiden. During this period, he worked on metalloprotein characterization and protein-protein interactions. 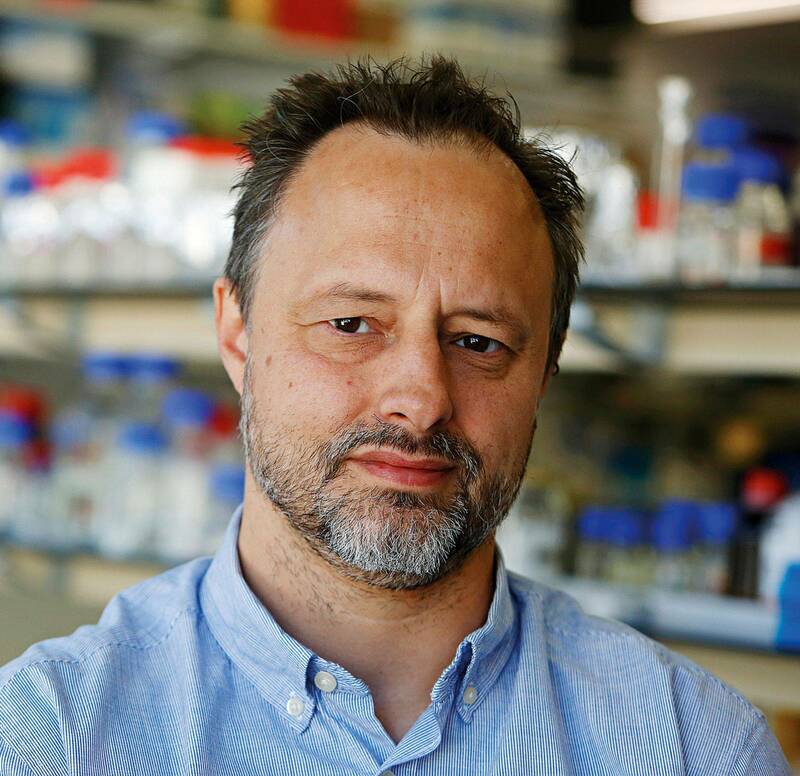 In 2004, he shifted his research focus to the field of malaria and became a post-doc in Maria Mota’s research group, initially at Instituto Gulbenkian de Ciência and later at Instituto de Medicina Molecular (iMM Lisboa). In 2008 he was hired under FCT's Ciência 2007 program and became a Staff Scientist of iMM Lisboa’s Malaria Unit. In July 2013 he was hired under the Investigador FCT programme and became a fully independent Group Leader at iMM Lisboa, heading the Prudêncio lab. He was hired by iMM Lisboa under FCT's Individual Call to Scientific Employment Stimulus in April 2019 He was appointed Invited Associate Professor of the Faculdade de Medicina da Universidade de Lisboa in March 2019. Miguel’s research interests are focused on the investigation of Plasmodium liver stages and on the exploitation of their potential for anti-malarial intervention. His research program includes the analysis of nutrient acquisition by hepatic Plasmodium parasites, the survey of novel parasite-host interactions, the study of Plasmodium-Trypanosoma co-infections, the identification of new anti-malarial compounds and the development of a new vaccination strategy against malaria, a project funded by the Bill and Melinda Gates Foundation and the Malaria Vaccine Initiative. Miguel is the author of over 90 scientific articles in international peer-reviewed journals, having earned several scientific and innovation prizes, and is an inventor of several patents. He regularly lectures at undergraduate and graduate courses in various Faculties. He is a founding member the iMM Lisboa spin-off company RoPlaVac. He has had numerous media appearances in relation to his research work in the malaria field or to the public understanding of science. Miguel Prudêncio completed his PhD by the University of East Anglia in 2000, followed by a post-doctoral period at the University of Leiden. In 2005, he became a post-doc in the field of malaria, at iMM Lisboa. In 2008 he became a Staff Scientist of IMM’s Malaria Unit and in July 2013 he became an independent Group Leader at iMM Lisboa, heading the Prudêncio lab. He was appointed Invited Associate Professor of the Faculdade de Medicina da Universidade de Lisboa in March 2019. Miguel’s research focuses on Plasmodium liver stages and their potential for anti-malarial intervention. His interests include nutrient acquisition by hepatic Plasmodium parasites, novel parasite-host interactions, and Plasmodium-Trypanosoma co-infections, as well as the identification of new anti-Plasmodial compounds and the development of a new malaria vaccination strategy, a project funded by the Bill & Melinda Gates Foundation and the Malaria Vaccine Initiative. Miguel is the author of over 90 scientific articles, has earned several scientific and innovation prizes, and is an inventor of several patents. He is a founding member the iMM Lisboa spin-off company RoPlaVac.